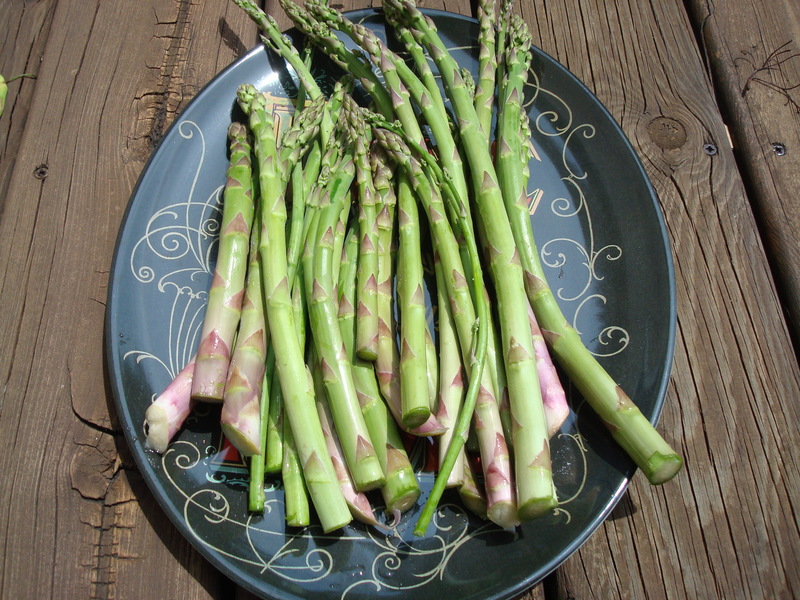 I can’t believe I didn’t like asparagus when I was younger– what was I thinking? Probably just that it’s green in color and therefore I must not like it. Same goes for kale which I now love and spinach and Brussels sprouts. What a silly kid. Last spring a friend and I got dinner at a fancy pants restaurant in a posh neighborhood in New York and ordered an appetizer that consisted of asparagus, eggs, and parmesan– very simple, and very delicious. So this spring when a coworker brought me asparagus from her garden I decided to recreate it. 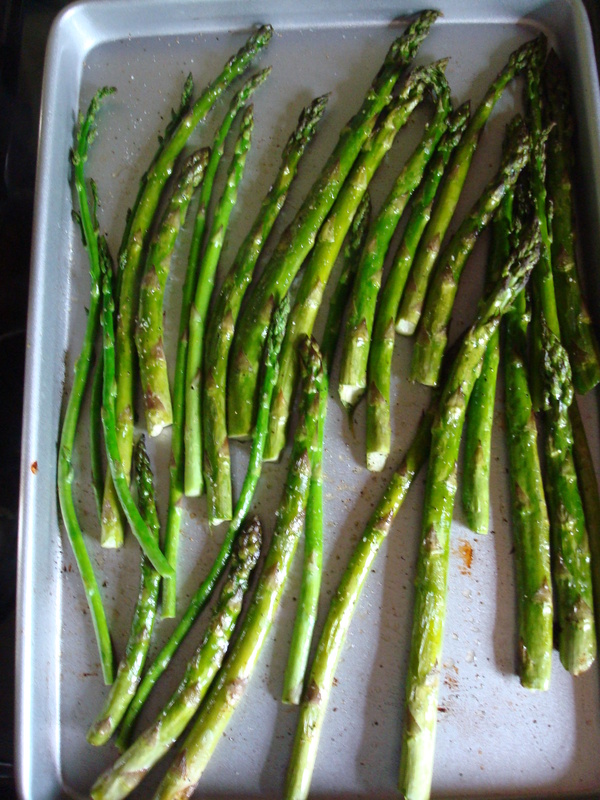 I started out by roasting the asparagus with a little olive oil, salt, and pepper. 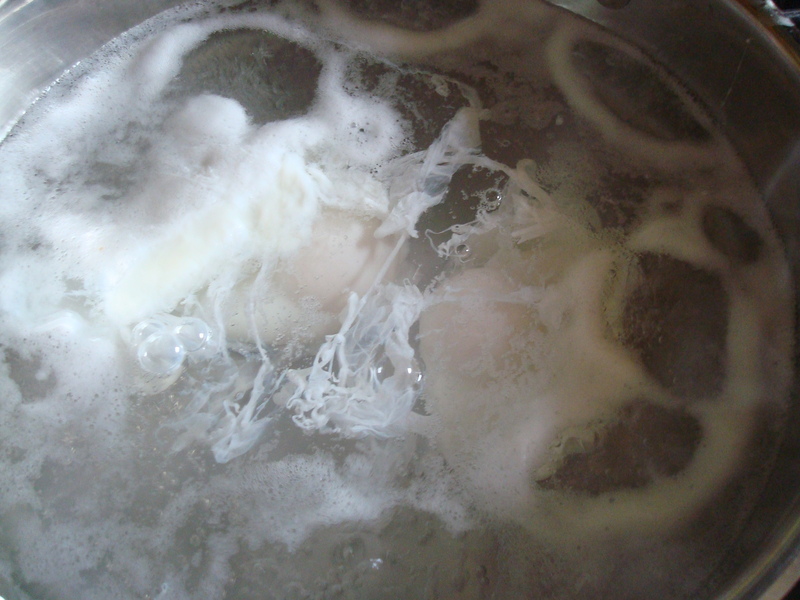 Then, I poached a few eggs. Poaching eggs looks a little ghost-like. Spooky. 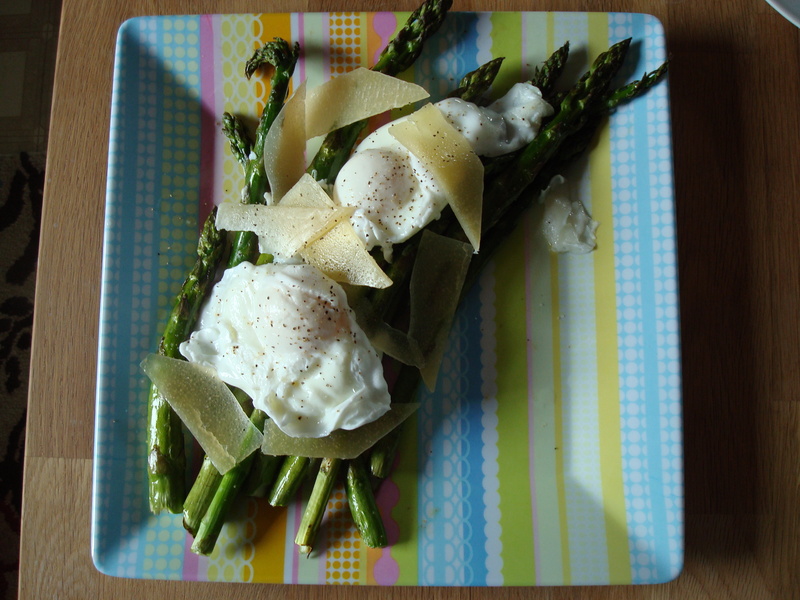 While the asparagus was roasting and the eggs were poaching I shaved up a little parmesan with my vegetable peeler. 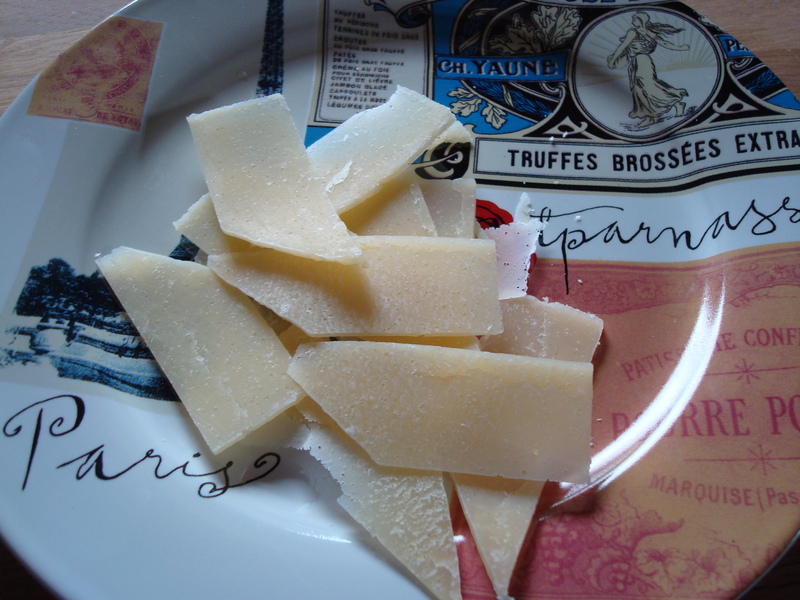 Parmesan tastes better shaved than it does grated. Totally true. And then I put it all together. Voila! No need to spend fancy pants money in a fancy pants restaurant for food like this when you can easily make it at home. Plate asparagus and place eggs over the asparagus. Top with shaved parmesan and salt and pepper. Great idea! All we ever do is roast it, or grill it (cause it’s awesome that way too). Adding an egg & parm is perfect. The simplicity here makes this an easily repeatable/remembered recipe! Why not add garlic/onions if you want to up the taste quotient. Don’t be dissuaded by the mention of poached eggs. Can be done in a few inches of simmering H2O in a skillet w/ vinegar added to keep things together if you want to avoid that “ghostlike” effect. Read in a cooking magazine how to do the perfect poached egg…..done in the microwave, i’m hooked. Fill a coffee cup 1/2 way with water, drop in the egg and cover with a plate, microwave for exactly 1 minute, and carefully remove with a slotted spoon. It REALLY works! Good Luck if you try it. Love your attitude about “fancy-pants restaurants” and I agree green veggies are great, especially this one. Thanks for the tip about shaving parmesan cheese. I’ll be trying this. Can’t wait to see what you do next. looks great, also good with crumbled goat cheese, instead of the parm….. Excellent suggestion. I love goat cheese!